The World Ocean Network promotes a BLUE SOCIETY – this is a vision based on the idea that many societal needs and challenges can be met by responsible management of marine resources and sustainable ecosystem services. Its strategy is to exchange and share knowledge and experience about the ocean in order to implement joint projects so as to become a true international community dedicated to ocean issues. World Ocean Network has a leading role in the inventory of lessons learnt from other projects and participates in the identification of existing Responsible Research and Innovation and marine initiatives as well as related knowledge. World Ocean Network also participates in the production of the Marina Knowledge Sharing Platform with a specific focus on developing the sustainability of the platform and certain dissemination activities, including in particular awareness raising. 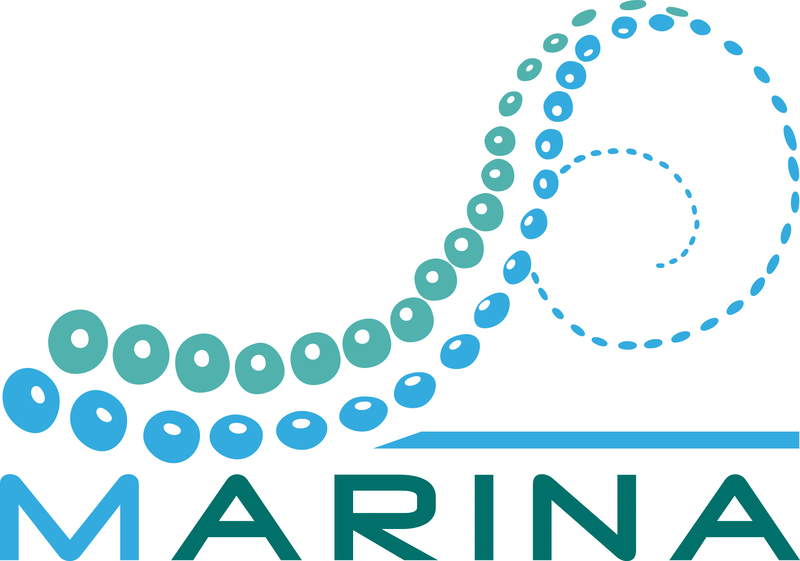 MARINA project‘s main objective is to have a holistic approach to the way we use marine resources and to new innovations. The following list will develop some of the main activities put in place by the project to meet this objective. The Mobilisation and Mutual Learning (MML) workshop brings together everyone who is interested in developing successful innovations, useful solutions and effective policies in the marine field. It is a unique environment enabling the integration of citizens’ needs, expectations and opinions into the marine Responsible Research and Innovation (RRI) process. By using participatory and interactive methods we create a forum for exchanging knowledge, sharing best practice and co-creating (RRI)-driven solutions to marine challenges and hot topics. MARINA project will organise two rounds of connected local and international MML workshops in 14 countries across Europe from November 2016 till June 2018. Knowledge Sharing Platform (KSP): share your knowledge! Take action! In order to facilitate the cooperation of everyone involved in marine issues and the effective integration of the citizens’ ideas, this online platform collects and organizes all existing networks, communities and other platforms on marine issues; it engages researchers, organizations from civil society, citizens, decision makers and industrial stakeholders, easing also their participation to other project activities (such as the MML workshops). It represents a useful tool where everybody will produce and share information, documents, pictures and other resources and it will collect the whole material produced during the project. One of the MARINA’s most important objectives is that at the end, the KSP will represent a way of federating the RRI communities. The platform is also created thanks to the elaboration of a taxonomy and ontology of concepts and relations among EU directives and guidelines relevant to marine issues: this activity provides a standard language understandable by everyone, both sector experts and citizens. 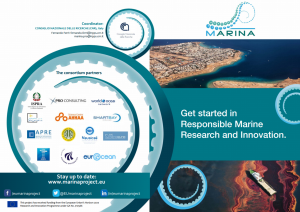 MARINA project aims to contribute to the institutionalization of RRI principles into the European Union’s policies. Drawing on the experience from the MML workshops, the knowledge gained on the Knowledge Sharing Platform, and the lessons learned from established RRI implementations,is engaging policy makers in a dialogue with RRI practitioners during common Mobilization and Mutual Learning meetings. As a result, it will help understand their vision of the barriers that impede the wider application of the RRI principles in the marine and maritime sectors. The goal is to identify practical implementation guidelines on how to include the RRI principles in the policy making process, with a special emphasis on the marine key strategic issues and the Horizon 2020 societal challenges. The guidelines developed within this framework, along with reflections on policies and institutional needs to consolidate “Science in Society” and “Science for Society” approaches as well as the RRI knowledge and know-how, will be presented and discussed at a high-level policy conference in Brussels at the end of the MARINA project in 2019. To facilitate social learning and reach a common understanding of needs and expectations for marine and RRI governance. These Guidelines and Good Practices will be focused on different methods and approaches used during all the MARINA project. MARINA project will organize travelling interactive exhibitions in the European Cultural Cities during its duration. They will be focused on the main themes addressed by the project, with the aim to increase citizens awareness on them and to disseminate best practices from MARINA and other projects on the same issues. Exhibition will involve actively visitors using different techniques such as sounds, smells, flavors, colors, pictures, videos, performances, presentations and so on. Exhibitions will encourage the engagement of a greater number of people with different backgrounds, that will contribute to the research and innovation process. Aquaculture, what are the stakes for the future? 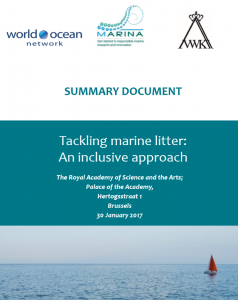 Marine litter: from the land to the sea and then back to us in our seafood? Will Italian fish products disappear from our dishes? Double exploitation of harbours. Industrial harbours in transition: Dual or singular use? What actions are needed to keep minimising the contamination of water and how to implement them? Sun, sand… and safety. How long will we have beaches? Wave energy in Ireland: Is its development a technical, funding or regulatory challenge?